John Strugnell was perched at a scholarly pinnacle in 1990 when he sat for an interview with a reporter from an Israeli newspaper and made the anti-Semitic remarks that effectively ended his career. As chief editor of the Dead Sea Scrolls project, he had been leading a team of translators in piecing together fragments of the ancient documents that shed light on early Judaism and Christianity. A language prodigy, Mr. Strugnell had joined the effort when he was 23 and in college. Nearly four decades later, he was heading the project and teaching at Harvard Divinity School. "He was a linguistic genius," said Krister Stendahl, a former dean of the divinity school and a retired Lutheran bishop of Stockholm. "We brought him in to get the best man we could imagine for philological and textural criticism precision in our New Testament department." Few colleagues, however, knew that while Mr. Strugnell labored in two high-profile jobs, he also was being treated for manic depression and struggling with alcoholism. Upon publication, his anti-Semitic comments led to his firing and public denunciations, though a few friends spoke in his defense, attributing his remarks to "mental imbalance" and a "drinking problem." "It was not an excuse, it was reality," said his daughter, Anne-Christine of San Rafael, Calif. "The reality was that he was diagnosed as manic depressive sometime in the early '70s, and he was on medication for the rest of his life. I think it was amazing that he was often under treatment, and yet he managed. He remained at the top of his field and at the top of his game." Mr. Strugnell, who continued to research and write outside the public spotlight after his dismissal, died Nov. 30 in Mount Auburn Hospital in Cambridge of complications from an infection. He was 77 and had lived in Arlington. "He was a brilliant scholar, very learned in many languages, and had a very sharp mind for the kind of ancient texts on which he worked," said the Rev. Daniel J. Harrington, a New Testament professor at Weston Jesuit School of Theology in Cambridge who collaborated with Mr. Strugnell on a publication drawn from the Dead Sea Scrolls. "This is very difficult work, and he trained a whole generation of people who can do this, both at Harvard and in Jerusalem." Little of that mattered in the furor spawned by his interview with the Tel Aviv newspaper Haaretz that appeared in November 1990. In the few years before the interview, Mr. Strugnell had been under increasing pressure from the international academic community to increase the pace of translations and publications of the Dead Sea Scrolls. The Haaretz reporter said that Mr. Strugnell drank beer throughout the interview but did not seem inebriated, The New York Times reported. As quoted in Haaretz, Mr. Strugnell said of Judaism: "It's a horrible religion. It's Christian heresy, and we deal with our heretics in different ways. You are a phenomenon that we haven't managed to convert - and we should have managed." At the time of the interview, his daughter said, Mr. Strugnell was off medication and in a sustained period of mania. "He said and did many things that horrified him when he found about it later," she said. "My father was not anti-Semitic in any way, shape, or form." Indeed, Mr. Strugnell's family said, he brought Jewish scholars into the scrolls project. "The sad part was that our society's stigma around mental illness makes it difficult for us to say, directly, the poor man was crazy at the time," his daughter said. Said Stendahl: "He fought, even earlier, a valiant struggle with manic depression. And finally he really was not fully functional." After he was dismissed from his chief editor post, Mr. Strugnell was hospitalized at the McLean psychiatric facility in Belmont. The precipitous fall was all the more dispiriting for someone who had seemed destined for a sustained place at the heights of academia. Born in Barnet, England, he was fascinated by languages as a boy. A neighbor later told Mr. Strugnell's daughter that he used to "walk down the street in his own particular cloud," reading a Hebrew religious text and carrying a dictionary for reference in his other hand. He became fluent in ancient and modern languages. "I asked him once how many," his daughter said, "and he said, 'You mean read, write, and speak?' And he sighed and said, 'Umm, nine.' "
Mr. Strugnell graduated from St. Paul's School in London, where he was a scholarship student, and received bachelor's and master's degrees from Oxford University's Jesus College. 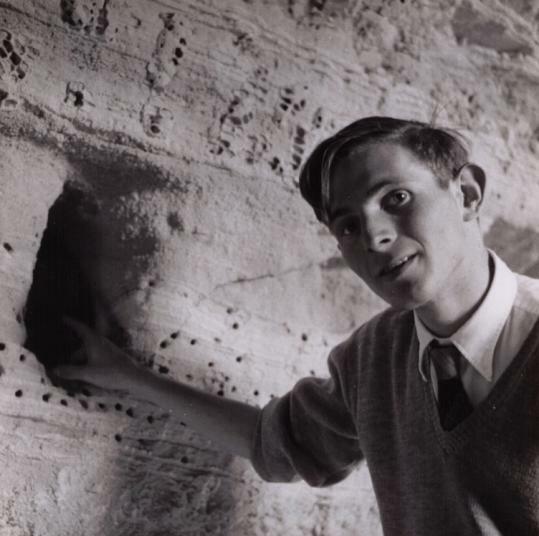 He set aside his doctorate work to join the scholars working on the Dead Sea Scrolls. Teaching positions followed. He spent a year at Oriental Institute in Chicago, where he met Cecile Pierlot. They married in 1958, separated in the mid-1970s, and later divorced. In 1960, he began teaching at Duke University, and in 1966 moved to Harvard Divinity School, where most recently he was professor emeritus of Christian origins. "He was primarily a contributor to the doctoral program, the training of our next generation of teachers," Stendahl said. "I remember when I was dean, I said to him, 'It is so obvious that your gift is to work in the seminar and the tutorial one-to-one, and that's what you should do.' "
Harrington, who had been one of Mr. Strugnell's doctoral students, said that "he took as a kind of challenge and duty to form bright students that he thought were able to do this kind of work and to do it well. That's really one of his successes." "He achieved so much against the backdrop of a tremendous struggle with a chronic mental illness that became acute and caused him to lose so much," his daughter said. Still, she said, "his accomplishments were genuine and lasting." In addition to his daughter and former wife, Mr. Strugnell leaves two other daughters, Claire Strugnell of Billerica and Monique O'Connell of Medford; two sons, David of Billerica and Andrew of Arlington; a sister, Jean McMeeking of Nottinghamshire, England; three granddaughters; and two grandsons.